I started doing Valentines in early January and wanted to have 30 different Valentines Day Crafts or cooking articles done and this is number 21. I suppose when I accounted for “30 days of love” I forgot that no one wants to work weekends – including me. Unfortunately I won’t quite make all 30 this week before my brain switches gears to Mardi Gras crafting, but I hope you enjoy the last few publications before the big day this week! 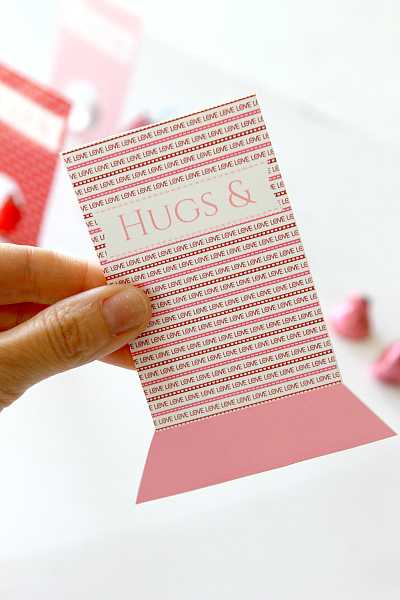 I wanted to kick off today with a fun Valentines Day Printable I created last night. To be honest it was a hard day because our cat of 16 years had to be put to sleep so I dove into my craft box in order to take my mind off of it. 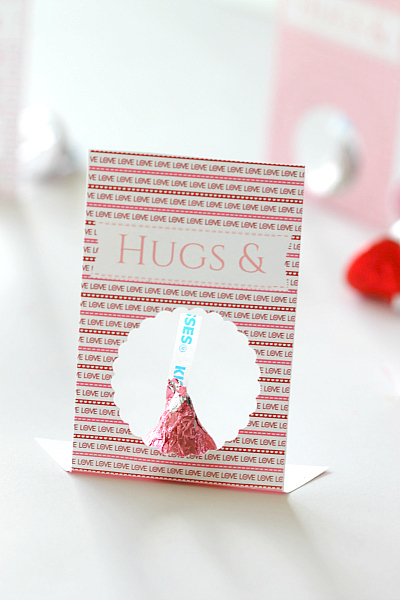 I created a ‘Hugs and Kisses’ Valentine that you can easily print, fold and attach a cute little Hershey Kiss to. I went back and forth on where to put the placement for the “Hugs &” but in the end leaving it in one line won out simply because I ran out of computer ink to print more. HA! This is a super easy printable and craft which I hope is fun for you or your kids to pass out this week. I think what I have learned with printables is that the better quality paper and printing you use, the better the printable. When you go to print this out, make sure you change your print settings to “FIT TO PAGE”, set on “BEST” quality and adjust the paper type. 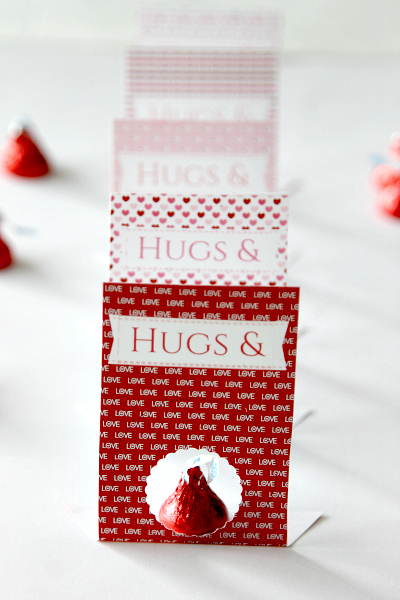 I personally used photo paper for these because they have great colors and just the right bend-ability to have the Valentines Stand up to hold the kiss. 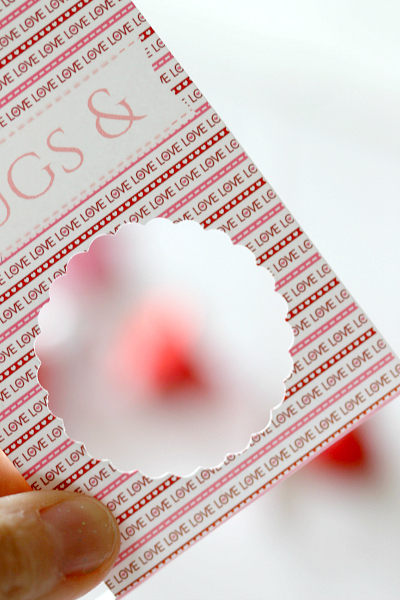 Now print your Valentines Day card in high quality ink and paper. Cut out along the edges and then bend at seam. Now you will need to use either a hole punch or if you own a Sizzex, Silhouette, etc you can use one of those to create a perfect circle. If you do not own one of these machines you are missing out. I bought a Sizzex on a whim and am ADDICTED to all the things it can do! I can create pretty much any shape, pattern and can buy dies in a variety of objects. My 9 year old loves playing with it too. You can also use just a plain old 1 – 1/2 inch paper hole punch or, if you are good at a straight razor/knife, you can cut out the circle that way. There you go! 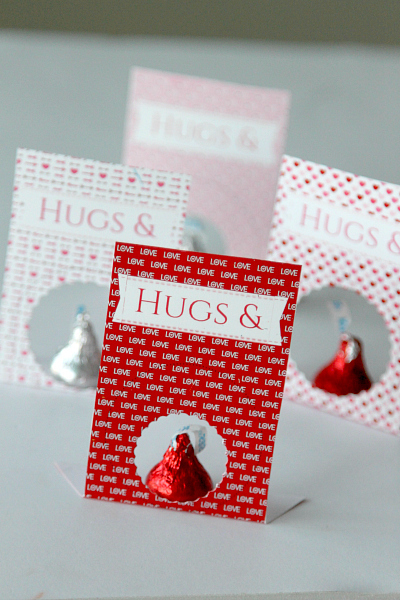 A cute “Hugs & Kisses” Valentines! Although the holiday is nearly over, make sure you pin for inspiration next year! These are so cute. The paper is adorable! Absolutely beautiful! I bet they were a showstopper with your kids. These are so adorable! 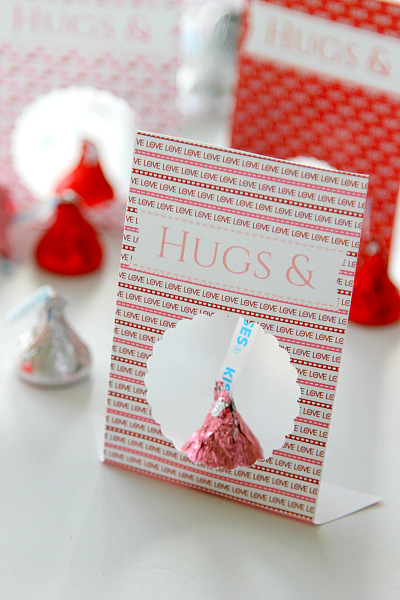 They can easily be used beyond Valentine’s Day as a treat to give someone a smile. These are so cute! I’ll definitely have to pin for next year! Super cute, and I love how you can fit the kiss behind the cut-out. This is such a cute and easy idea. These are so cute and clever. These are on my list to make next year! These are absolutely adorable! So simple but so cute! Love how simple these are. You can never go wrong with Hershey’s kisses. 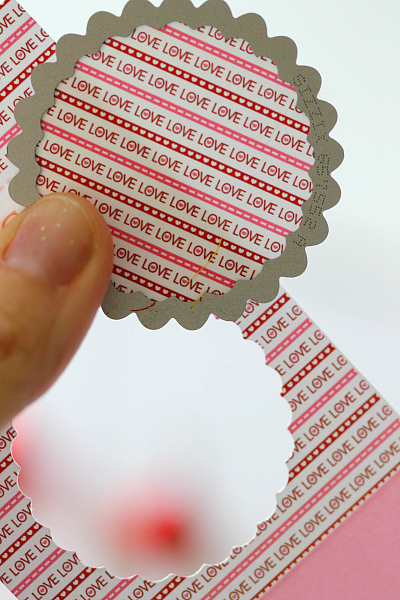 Such a sweet idea & perfect for a love note anytime. Such pretty pictures. And a great idea! Super cute & Super easy! Love it! Very cute idea! 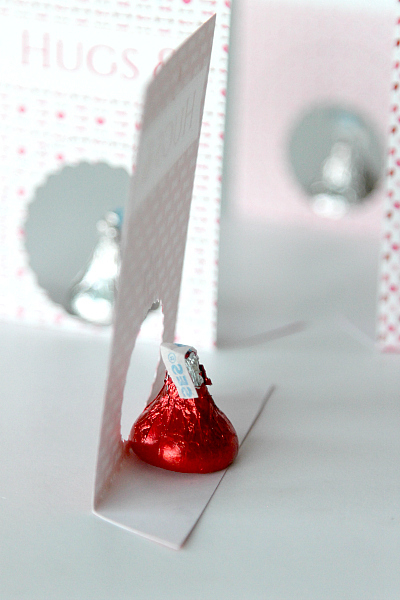 If I did this craft, I’d probably eat all the Kisses before they made it to the cards. LOL!!! Oh my- these are PRECIOUS!! And ya know what I love most – they are adorable and only use one piece of candy! This past Valentines day my daughter got bags of candy from friends and it was all too much. This is perfect! So adorable! Definitely going on my list for next year! So sweet! And they look really professional too. I”m going to have to bookmark these for next year. Adorable and so quick/easy! I wish I was creative like you 🙂 Thanks! I big puffy heart love these! I LOVE this! I always try to make something special for Valentine’s Day cards because the ones you can buy in the box are just so boring! How adorable are those? I’d love to have them around for a day when my kids need a little something extra!